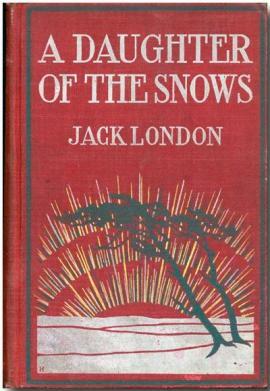 A Daughter of the Snows is Jack London's first novel. It was published in 1902 by Grosset & Dunlap. The novel features a strong female heroine, Frona Welse. Frona was born into a wealthy family and educated at Stanford but she takes to the Yukon trail after upsetting her father and his wealthy community of friends with her out-spoken ways and her innocent friendship with the town's prostitute.